Spring is in the air, and as we shed our winter layers, we’re encouraging you to live your life in color. Classic combinations are great because we know they work, but these looks are all about taking risks. Get creative and have fun with the color wheel to energize your look and make a statement. 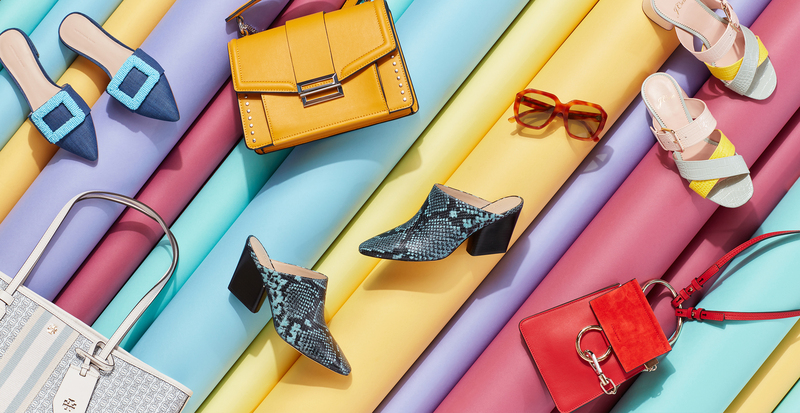 For inspiration on how you can wear the rainbow in style, keep on scrolling. Who knew that layering on multiple pieces from one color family could create such a striking outcome? And the best part is that there’s no wrong way to wear a monochromatic outfit. Match every piece together precisely for a bold look, or try mixing varying shades of a single hue if you prefer a more dimensional effect. Pro-tip: Because your outfit is all one color, you have more room to experiment with unique textures, silhouettes, and accessories. Just be sure to have fun with it, and don’t be afraid to let your personality shine. We love color-blocking because it adds an automatic zestiness to any outfit. The general rule of thumb for a balanced combination is to pair colors that lay opposite of each other on the color wheel. In this case, we matched muted blues with earthy oranges. 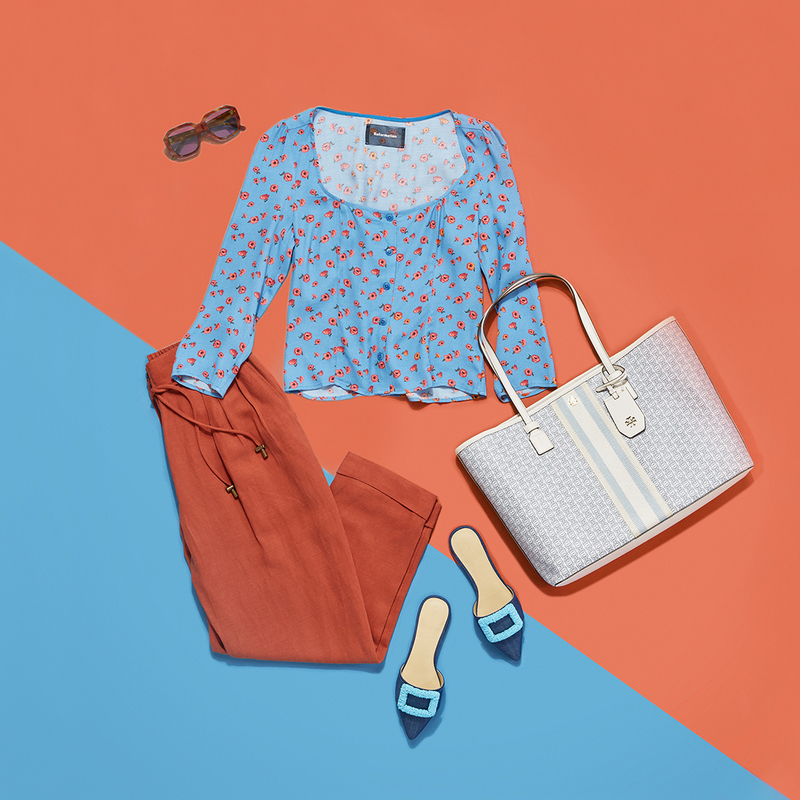 If you’re unsure about where to begin, ease into it with a top printed with contrasting florals, then choose colored bottoms that match the accent shade. Adding accessories in the same color family further accentuates the look. Dreamy pastels are like a sweeter, more delicious version of neutrals. They’re just as wearable and pair together well in delightful combinations. But what happens when you add a striking color that is traditionally meant to be kept far away from such a soothing palette? A fashion risk turned reward. The unexpected addition of vibrant red not only feels bold and exciting against the soft shades, but it also turns color clashing into stylish flair. We’re excited for you to wear the rainbow. And however you decide to add color into your wardrobe, just remember to have fun with it.